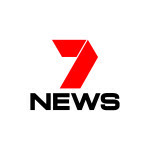 For several years AMWRRO has worked closely with the fantastic team at 7 News and recently AMWRRO has secured a new sponsorship arrangement that will help promote the great work AMWRRO continues to perform throughout the community for our marine wildlife. Special thanks to all the reporters, chief of staff and production teams for all their support and great Community Service Announcement that is now aired on Channel 7. 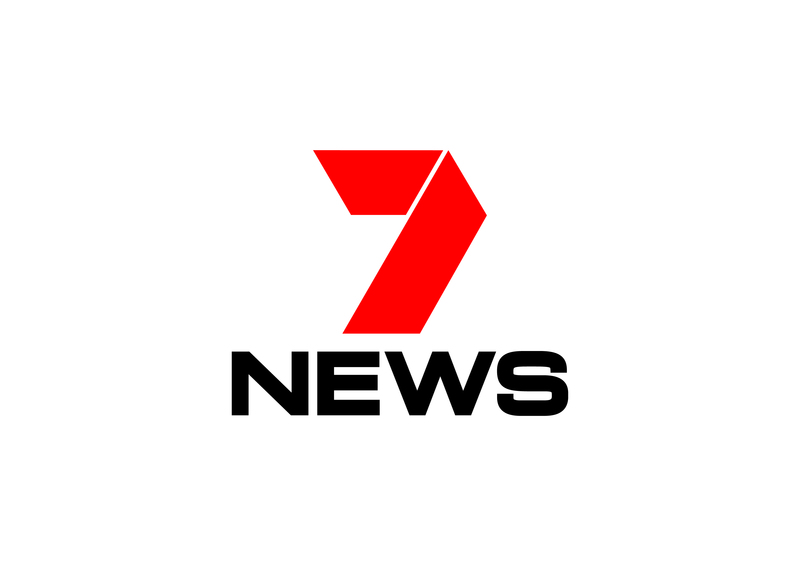 AMWRRO will be updating the team at 7 News Adelaide on new cases and will provide exclusive coverage to 7 News on a regular basis. 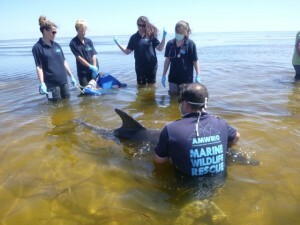 High and dry for hours – Bottlenose dolphin stranded. 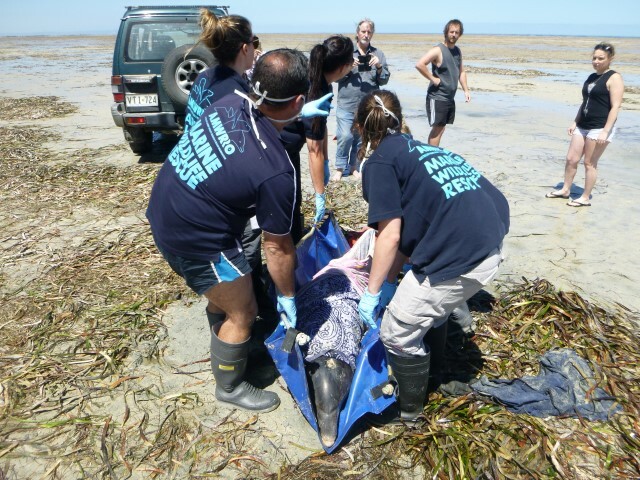 An adult Bottlenose dolphin found stranded on the high tide line at Thompsons Beach – north of Adelaide yesterday was successfully refloated thanks to AMWRRO Crew. Taking into account the tidal movements and the slight decent of Thompsons Beach, the adult female dolphin had beached for approximately 3-5 hours before found. The adult female was approximately 400m away from the waterline when AMWRRO Rescuers arrived to assess and refloat her. 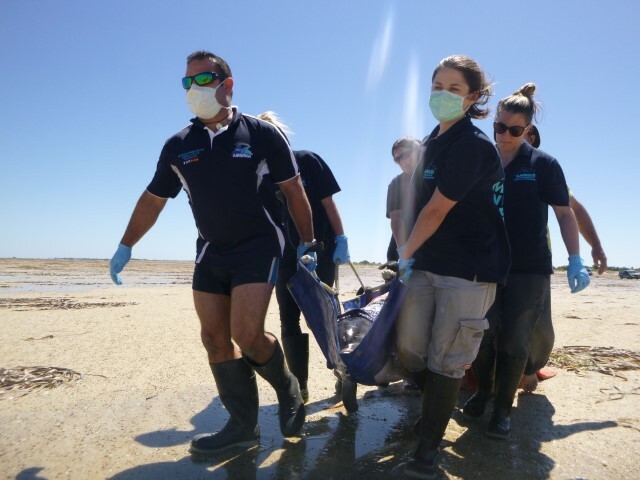 The female dolphin weighing in at approximately 150-200kg was carried over sand, weed and shallow pools by 7 AMWRRO crew and members of the public that were willing to assist the long haul back to open waters. Once floating the dolphin was stabilized and after three hours the tide was coming in enough for her to swim to open seas. Special thanks to those who found her and waited with her whilst AMWRRO Crew attended. AMWRRO responds to many stranding’s each year, some small enough to be dealt with by 2-3 crew and others such as this that require 6-8 – depending on the animals size and geographical location etc. AMWRRO Crew are extremely dedicated and flexible, which is essential when dealing with rescue situations that require specialist expertise and fast response times. AMWRRO was on site within the hour once called and the dolphin refloated within minutes – another successful rescue and all in a day’s work at AMWRRO.